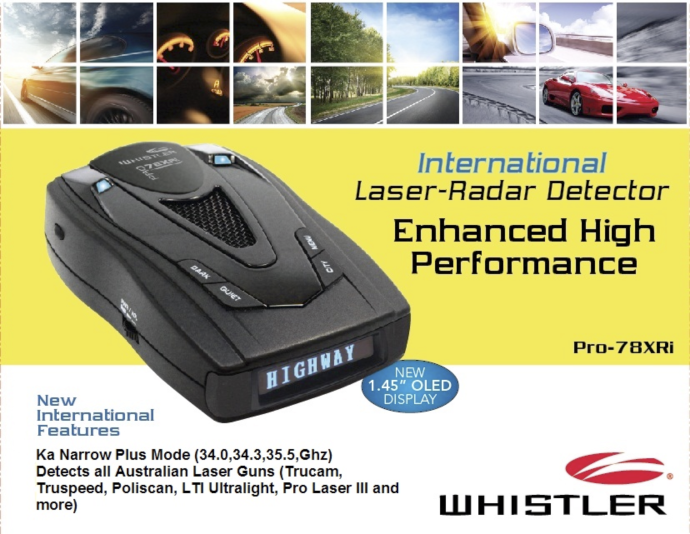 Whistler Pro 78XRi radar detectors: Here you will find information, pictures, videos and reviews on the All New Whistler Pro 78XRi radar detector. 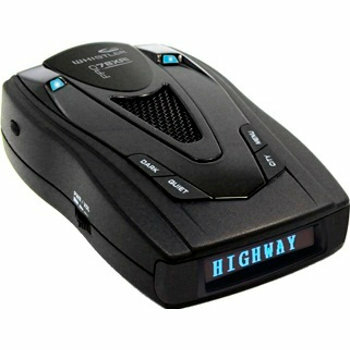 The Whistler Pro 78XRi radar detector is one of the latest and best radar detector from Whistler USA. The Whistler Pro 78XRi is designed to detect all the latest radar and laser threats used throughout Western Australia including the latest Poliscan laser cameras. The Whistler Pro 78XRi has front and rear laser sensors and also features the ability to isolate specific laser pulse rates to eliminate any laser false alerts through its selectable menu system. The Whistler Pro 78XRi features an excellent ergonomic and user-friendly design that provides a new level of operating convenience. The Whistler Pro 78XRi is an excellent high performance unit with a 3 year standard warranty, three times longer than most other brands at no extra cost! The Whistler Pro 78XRi features new Adjustable Laser Segments and identification of all laser camera and gun types thus shifting laser detection technology to a new level. Latest high performance design with KA-MAX, KA Signature ID and Laser Signature ID...New 44mm (1.45) OLED display provides better contrast and brightness; alerts detected include signal strength, and indicates engaged modes of operation. Radars.com.au is the exclusive Australian Master distributor for Whistler products. Buy from one of our approved resellers or directly from us to gain our full local warranty. Most Whistler products have an exceptional 3 year warranty which is only available through approved distributors. Whistler Trade Mark is used under approved exclusive license from the trade mark owner.